Circa 6th century BC, the Greeks considered Celts (Keltoi) as one of the four great ‘barbarian’ people; with their independent realms extending all the way from the Iberian peninsula to the frontiers of upper Danube. Pertaining to the latter, archaeologists had uncovered an Iron Age tomb filled with glitzy treasures of gold, bronze and amber. 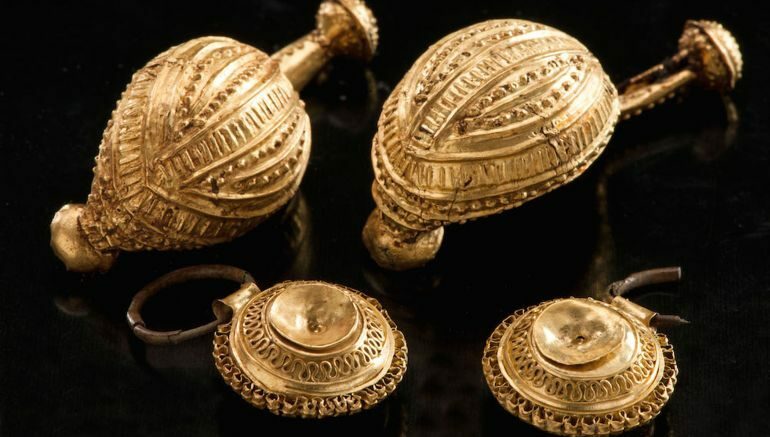 Located by the Danube, the enviable hoard, which remained hidden for nearly 2,600-years, accompanied the remains of a woman (30 to 40 years old) who is thought to be an elite member of the predominant Celtic society in the region. 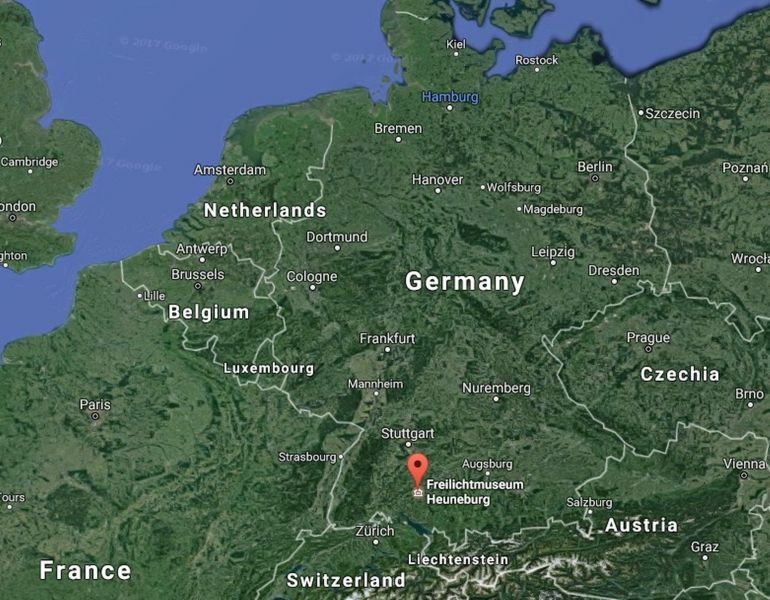 In more precise terms, the site is situated at the Heuneburg hill-fort, in southern Germany, with the date of the woman’s tomb harking back to circa 583 BC. In fact, the noted site was possibly even mentioned by Herodotus, while attracting the attention of modern archaeologists in 1950. Unfortunately, many of the graves beside the woman’s burial chamber have been looted (since antiquity), with robbers even managing to bore tunnels that connected a few of the tombs. 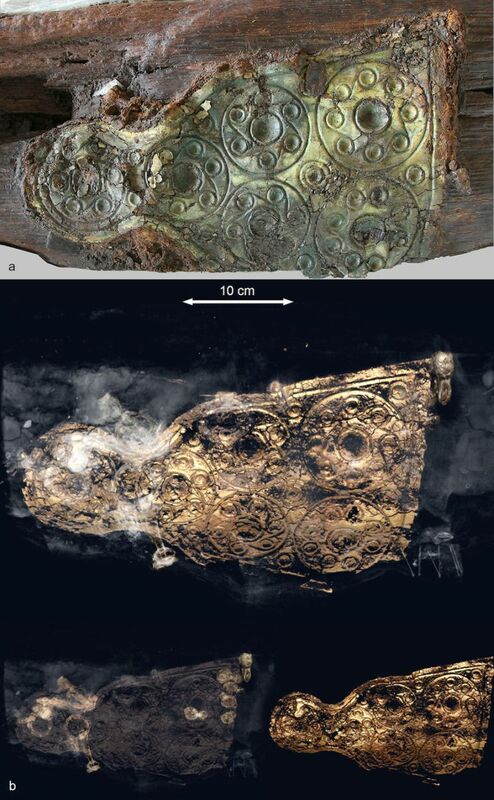 Considering all these factors, the ‘untouched’ treasure inside the woman’s grave came as a pleasant surprise – thus making it the “first richly furnished central grave from that period — the first half of the sixth century in Heuneburg — which was not looted in antiquity” – as said by lead researcher Dirk Krausse (to Live Science). And while we are talking about historical wealth, the first bits of gold treasure were salvaged at the site (in modern times) from a smaller a grave in 2005, complemented by the ambitious Keltenblock – an entire 88-ton section of a larger tomb that was carried off to the lab of the archaeological state office of Baden-Württemberg, for further analysis in 2010. 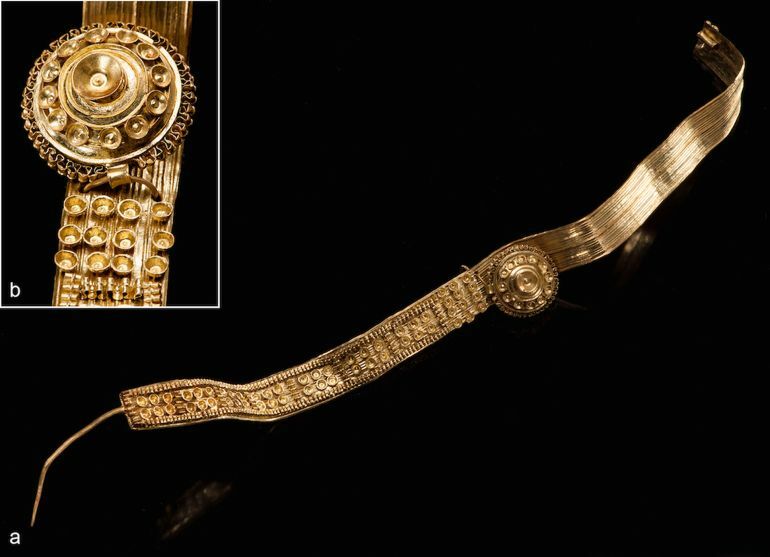 The subsequent study glimpses into the incredible ‘richness’ of the find, with researchers being impressed with the bevy of intricate jewelry made of amber, gold and bronze. 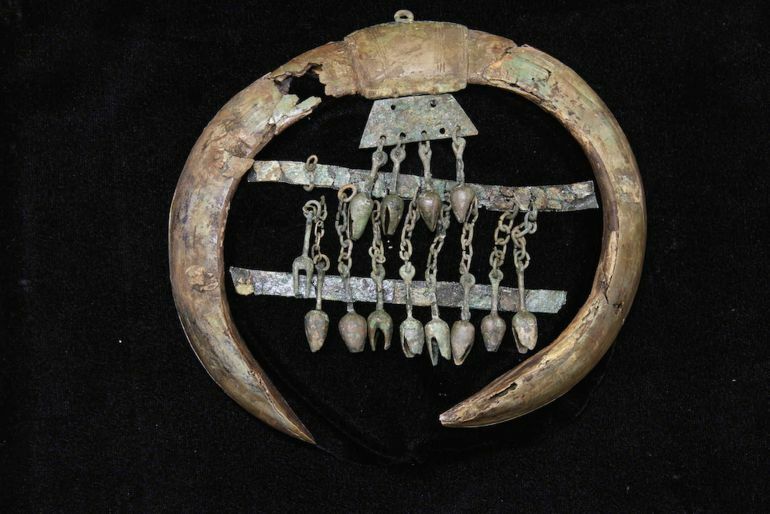 These were accompanied by ornaments made of boar horns, bracelets of black stone, carved objects of boxwood, bronze and leather-made belts, along with furs and textiles. Interestingly enough, the archaeologists were also surprised by many of the ‘exotic’ contents of the larger tomb in question. Some of these incredible items pertain to a petrified sea urchin and ammonite (a now extinct mollusk), both suggesting a special mode of burial for the occupant. In that regard, the researchers have hypothesized that this Iron Age woman was possibly a priestess of the community, which does explain the opulence of the grave itself. Additionally, the finding of a probable horse chamfron (that covers the forehead of the animal) made out of bronze sheet suggests that the occupant had a strong connection to horses. By knowing this new grave, we see the context between the region south of the Alps and this city at the Danube River. 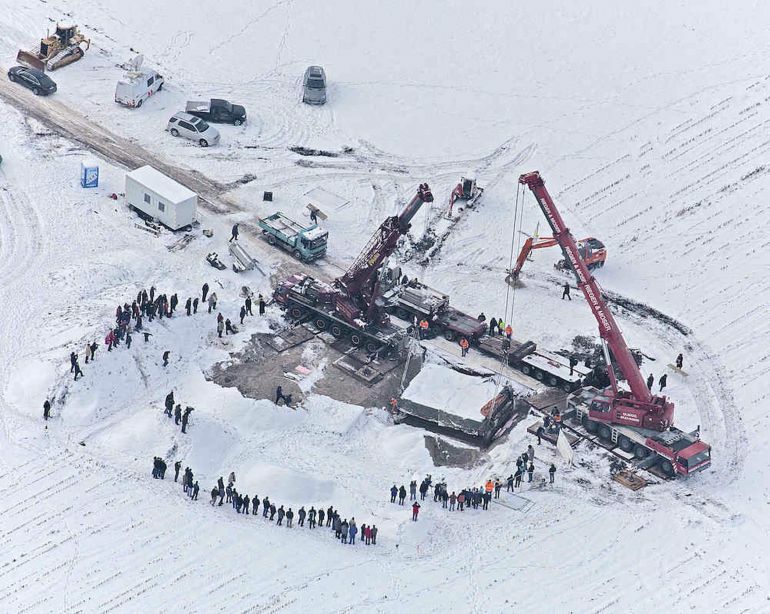 They were much closer, there was much more traffic and interrelations between these areas than we thought before. Lastly, the very preservation of the Iron Age tomb was ironically facilitated by the many floods of Danube that allowed the clay of soil around the site to maintain the dampness inside the perimeter of the tombs. In essence, much like the scenarios of shipwrecks being preserved under the seas, the waters of Danube aided in preserving most of the items inside the grave. The study was published in the February issue of the Antiquity journal. Source: LiveScience / Image Credits: Copyright Landesamt für Denkmalpflege Baden-Württemberg/Antiquity Publications Ltd.